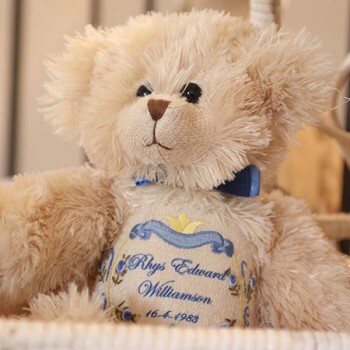 Beautifully hand crafted, our Personalised All Occasions Gift Bear Belle is the perfect gift for any occasion. 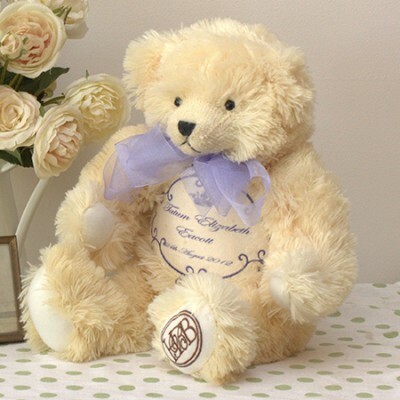 Whether it be for a birth, anniversary, gift, wedding, graduation, christening, for him or for her. 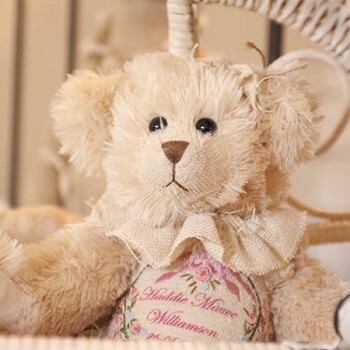 Willow is a 40 cm, jointed, plush bear in a cream colour with embroidered front emblem in purple. 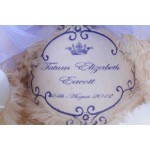 We hand personalise the front with a name and date of birth.